The UCL Musical Theatre Society offers top-quality performance, production, volunteering and social opportunities for the students of UCL. Every academic year the society puts on a variety of shows, including two large-scale productions. This year, one of these was Into the Woods which was performed at the Shaw Theatre as part of the Union’s Performance Season. With a strong history of supporting student productions, White Light was called upon to provide the lighting equipment. The lighting designer for the show was Alex Forey. He comments: “I became involved with the production as I am part of the UCL Stage Crew which is responsible for everything technical that happens on every UCL Show. The director’s vision for the show was for it to be set in a post-apocalyptic world. 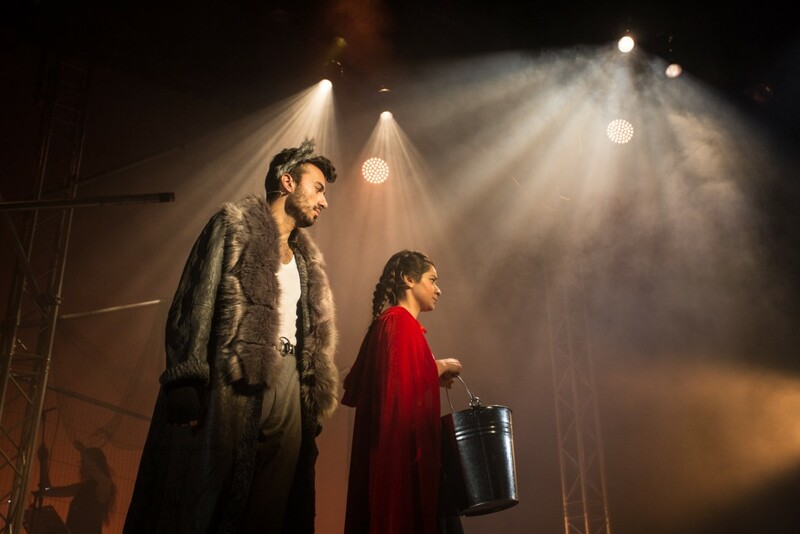 The set design was very industrial with lots of exposed aluminium and barbed wire so it was my job to support that vision with lighting, creating a magical environment”. Alex designed the rig for UCL’s whole four-week season at the Shaw. As a result, it had to be very versatile. He explains: “Due to the required versatility, the rig is very mover and LED heavy. 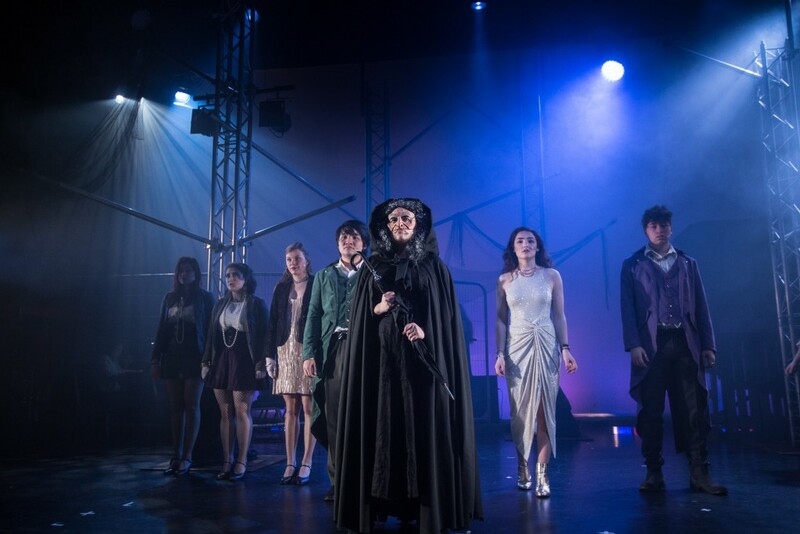 I picked the VL1100TS for its versatility as a front-of-house workhorse; with the tungsten dimming curve and shutters being particularly important for Into the Woods. Similarly, the gobos and rich colour mixing was also helpful for the live music and dance. I also drew on MAC Quantum Washes for their zoom range, brightness and saturated colours, along with MAC Aura XBs to add some versatility in terms of focus positions and specials. He adds: “The ever-reliable Lustr was used for colour-changing face light whereas the newer ColourSource Spots with Fresnel adaptors were used for colour changing downlight. There were also 30 x Source Fours for general cover front of house along with 2 x LOOK Solutions Unique Hazers and a Viper NT”. As with a lot of student productions, one of the biggest challenges facing Alex was time. He states: “As these productions are obviously fitted around our own studies, we have to use time as efficiently as possible! We only had three days to get in, focus, plot and then tech what is a three hour musical. In order to save time when we were at the venue, I visited WL’s warehouse the week before to conduct some gear prep along with colour matching between the various fixture types”. The season runs until 10th March. Alongside Into the Woods, the season includes Electra, a UCL Drama Society Show, and Exhibition, the Dance Society’s big annual showcase. The other shows are lit by a variety of UCL Stage Crew members, including Alex who has lit 4 of the 22 dance pieces. Alex comments: “It’s been fantastic to work on Into the Woods along with the whole season; especially in a venue such as The Shaw Theatre. Thanks also to WL, in particular Jim Dewhirst and Jonathan Haynes, for their support throughout”. WL’s Business Development Manager Jonathan Haynes comments: “We are delighted to have been able to work closely with Alex and all of the UCL Stage Crew team on this fantastic season. 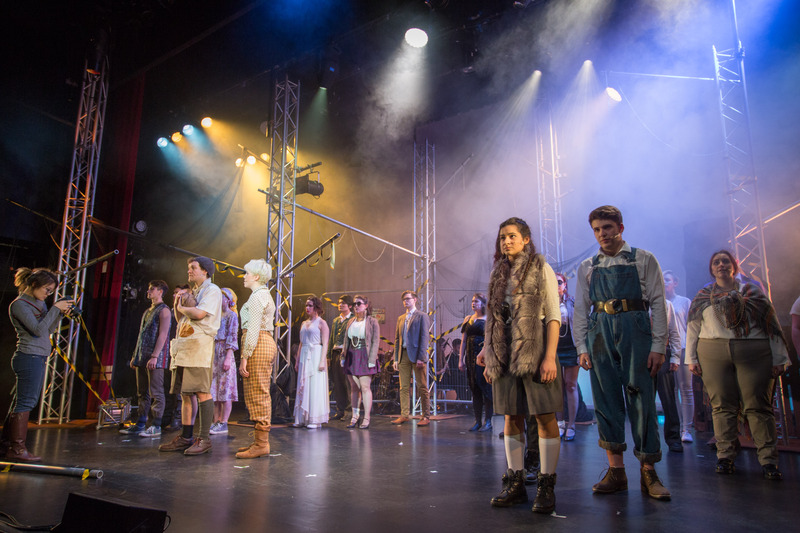 While we still remain the leading lighting supplier to West End theatre, we are also passionate about supporting student shows which often feature the next generation of lighting designers and theatre practitioners”. Photos courtesy of Alex Forey.